While those in Washington debate the proposed Keystone Pipeline, running oil from Canada down to Texas Gulf Coast, a similar project is trying to get approved here in Virginia – the 550-mile Atlantic Coast Pipeline. However, locals are not giving up their land and scenic views so easily. 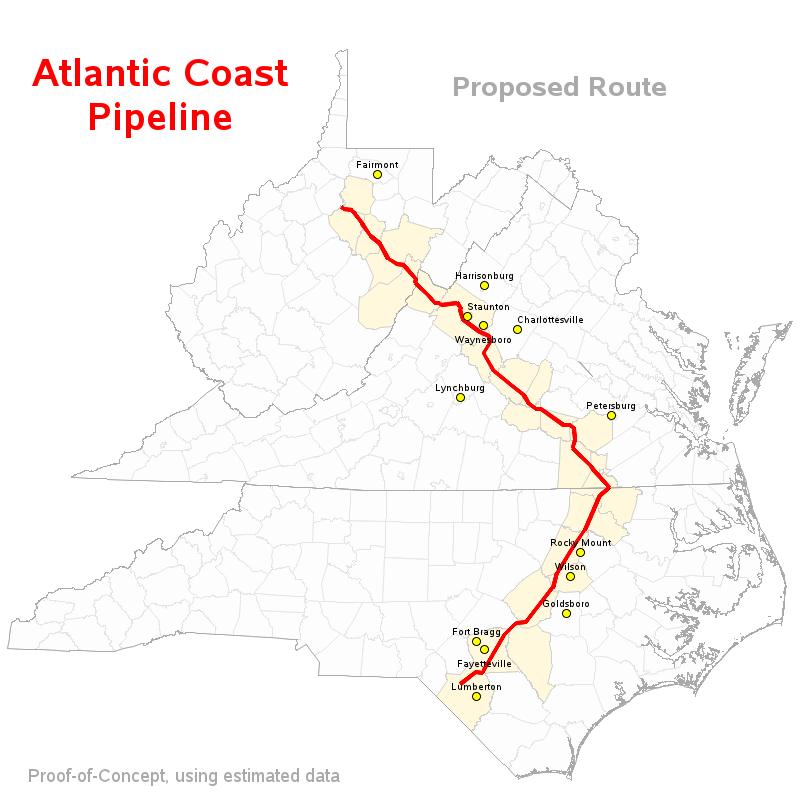 This Atlantic Coast Pipeline (ACP) would run natural gas from Harrison Co., West Virginia to Greenville Co., Virginia, then down to eastern North Carolina. Dominion Virginia Power has switched from coal-fired power stations to gas-fired power stations due to new federal clean air regulations. Though natural gas is said to be better for the environment than coal, many companies and citizens are instead pushing towards more green initiatives. This raises the question as to why these massive energy pipelines really need to be built when more and more people are looking to alternative energy sources. “Energy prices [recently] have tanked and the price of natural gas has tanked, so all of a sudden energy and infrastructure companies are quickly re-evaluating investments that they have made to extract and transport energy because it appears that an energy bubble has burst,” said Ernie Reed, President & Conservation Director at the local environmental group Wild Virginia. The value of natural gas continues to be volatile as warm weather and increased production reduces costs. The ACP, formerly named the Southeast Reliability Project, claims its purpose is to provide clean and affordable gas to the homes and businesses of the Southeast. But activists believe the reality is most of the gas would be for export overseas. Like Keystone, there is a great deal of opposition and concern for the possible construction of this pipeline. Most of the concern is coming from Western VA’s scenic Shenandoah Valley, where a huge chunk of the pipeline is supposed to run. One concern surrounding the pipeline is the negative impact it would have on tourism in several of the counties in the area, which in turn could significantly hurt their economies. The current route for the pipeline would cut through 16 miles of the George Washington National Forest, one of the largest public forests on the East Coast. Activists believe the ACP would affect wildlife habitat and possibly threaten the clean water supply for the surrounding communities. These factors combine to scare tourism advocates who think the project would make the area a less desirable destination. Much of the park’s 1,788,900 acres is used for hiking, biking, fishing, hunting, and other recreational uses. Businesses in these communities thrive on tourists who use the land for these activities. Ernie Reed of Wild Virginia lives in Nelson County and also has much concern for his neighbors and friends that may lose their property rights due to eminent domain. However, Dominion Power claims over 75% of the landowners on the proposed route have given permission to survey their land. A divide between the two forces very much exists. There were several bills being proposed surrounding the issue, and last week a rally for opponents of the pipeline took place in Richmond. One of the bills which raised concerns with the protesters, HB 1475 sponsored by Del. Lee Ware (R-Powhatan), would confirm that all energy pipelines are in the public’s interest, which clearly is not the case. HB 1475 passed the house with an overwhelming majority last week. A different bill, SB 1338, which would allow “interstate natural gas companies to enter upon property to make examinations, tests, land auger borings, appraisals, and surveys without the written consent of the owner,” was introduced by Senator Emmet Hanger Jr..
“In this situation, Virginia is toeing the line of what is appropriate and [the power company, Dominion] should prove that the pipeline is in the interest of the community, not just economic gain,” Senator Hanger told NBC 29 on Friday. Despite hopes for compromise, those opposed to the project see only one outcome – no ACP. The risks and the impacts that it would have on their communities far outweigh the benefits, such as more jobs, increased property tax revenue, and lower fuel cost that this pipeline would bring. 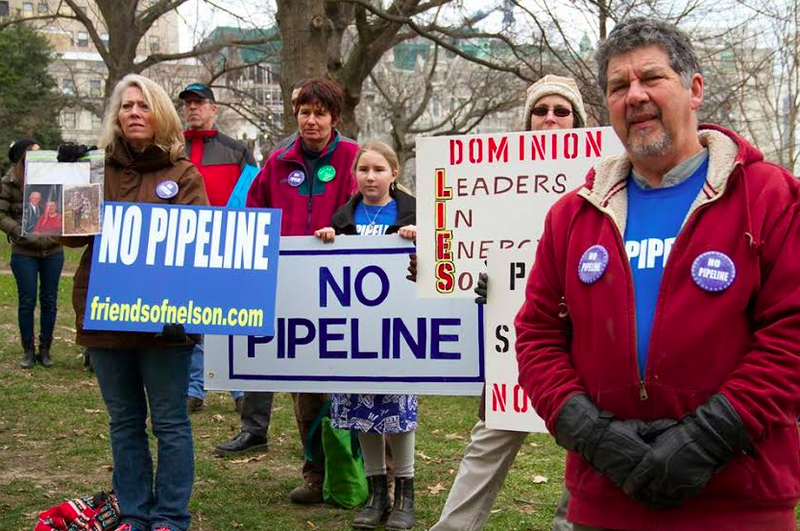 The project is still in the beginning stages, so many are hopeful that the pipeline will not be built at all, or that Dominion will propose a better route. Citizens are hoping that the FERC will see that this is not in the interest of the public, nor the economies and environments of the towns it will run through. 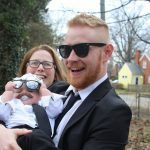 RVAMag will follow this story as it evolves.